In less than a month, the Panasonic GH4 will be shipping, but this camera already has a lot of people excited, and rightly so– the GH4’s features are unheard of for a camera in a DSLR form-factor. If you haven’t heard about the GH4 and what it brings to the table, this post will give you a crash course on why you should be excited about the GH4. In a world where video functionality is routinely an afterthought in DSLR cameras, Panasonic’s “GH” series of hybrid cameras have always sought to deliver robust video features. Each new iteration in the series has brought new video features based on user feedback. Now the GH4 takes this to an entirely new level. Packed with features like high-bitrate video recording (up to an insane 200mbps), focus peaking & zebra pattern overlays, variable frame rates, color bars, cinema-like picture styles, and time code, Panasonic’s GH4 is aimed squarely at users who will be using the camera for professional video production. Oh yeah, it’s also the first DSLR-style camera to shoot in 4K (more on this in a bit). Perhaps the only reason we’re not just calling the GH4 an outright “video camera” is because it can also shoot 16MP still photos at 12fps (2x faster than a Canon 5D MKIII). A HDMI port is found on virtually all DSLR cameras today. This port is useful because it provides a way to connect a larger monitor to the camera when shooting video. Some DSLRs will even output a “clean” signal via HDMI so that you can use an external device to record higher quality video with less compression than the codec used in-camera. Unfortunately, these same cameras only send out 8-bit video, which is definitely limiting. By contrast, Panasonic’s GH4 can output a 10-bit 4:2:2 video signal, allowing you to make much better use of the high quality codecs available on external recorders. But that’s not all: In addition to pumping out 10-bit video at 1080p, the GH4 also outputs 10-bit video at 4K (4x larger than 1080P), allowing you to capture high quality video that actually makes using an external recorder worthwhile. Most DSLR cameras let you record video in the two most common frame rates– 24p and 30p. Some cameras even toss in 60p, though usually this requires you to drop the camera’s resolution down to a lowly 720p. Panasonic does away with the compromises on the GH4 and lets you shoot from as low as 2fps all the way up to 96fps (resulting in a 400% slow-down for 24p playback) all at high-quality 1080p. Even better, you get 13 steps of adjustment across that range to dial in the best frame rate for the shot. One of the standout features of the GH4 is focus peaking. Focus peaking makes it easier to see what part of the frame is in focus, which is incredibly useful when focusing manually. The GH4 even allows you to customize the color of the focus peaking outlines so that they are easily visible in various shooting conditions. If you use manual focus (which you definitely should be when shooting video), focus peaking will make your job worlds easier. Something that users of other camera systems will be surprised by is how versatile the GH4’s Micro Four Thirds (MFT) lens mount is. Virtually any lens can be mounted on the GH4 with the use of readily-available adapters for various lens mounts. Adapters are available for common lens mounts such as Canon and Nikon, but the real fun begins when you dive into mounts you never had access to before like C-mount, B4, and PL. That box of old lenses you thought you’d never use again? They get to come out to play. 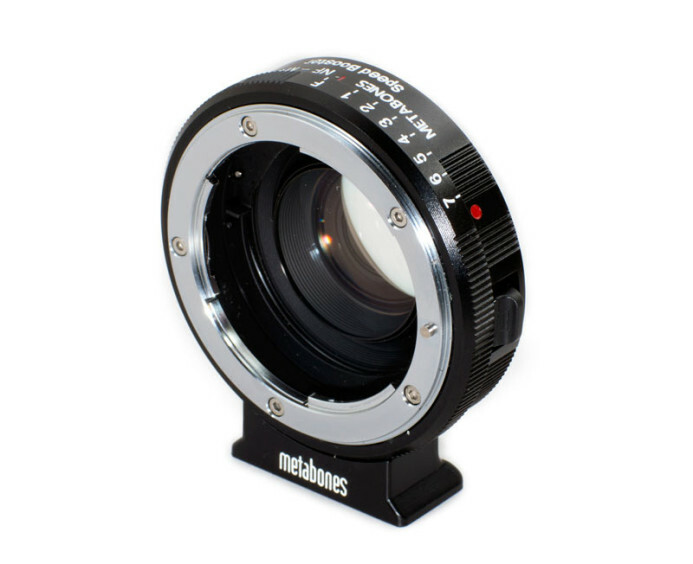 In addition to the wide selection of standard lens adapters, you also can use the Metabones Speed Booster, which actually changes a lens’ field of view. Using the Speed Booster adapter, lenses will have a wider field of view on the GH4 than they do on APS-C cameras (1.42x crop factor vs 1.62x). Oh yeah, it also makes your lenses 1 stop faster. Nice. Also, by switching between a standard adapter and a Speed Booster, your lenses will have 2 different focal ranges to work with on the GH4, bringing greater versatility to your lenses than on any other camera system available. “4K” is a popular buzzword at the moment, and the fact that Panasonic’s GH4 is the first to offer this resolution in a DSLR form-factor is definitely the source of excitement for many. What’s more, it can record both flavors of 4K– standard 4K with a resolution of 3840 x 2160, and Cinema 4K with a resolution of 4096 x 2160. As previously mentioned, the 4k signal can be sent to an external recorder via HDMI at 10-bit 4:2:2, though you can also record 8-bit 4:2:0 in-camera. Most DSLR shooters aren’t yet set up for a 4K workflow (and the increased data storage and processing requirements it brings). Nonetheless, 4K acquisition is quickly increasing in demand, so it’s nice to know that when you’re ready, the Panasonic GH4 can shoot in 4K. The only thing more shocking than the GH4’s laundry list of features is its price point. At $1699, the GH4 is a steal considering what it brings to the table. There is nothing that can touch the GH4’s price to features ratio. The Panasonic GH4 is an absolute beast…on paper, and that’s the big question. Will Panasonic be able to deliver everything they’ve promised without significant compromises? In a little over a month we will find out what the GH4 is really made of. Having owned and used all of Panasonic’s previous GH-series cameras (GH1, GH2, and GH3), I am hopeful that Panasonic will deliver a camera that lives up to the excitement it has generated. I am excited to start shooting with the Panasonic GH4, and I will be putting the camera through the ringer once it lands. There are several projects already lined up that will really put these exciting features to the test. Check back often to find out how the GH4 fares. 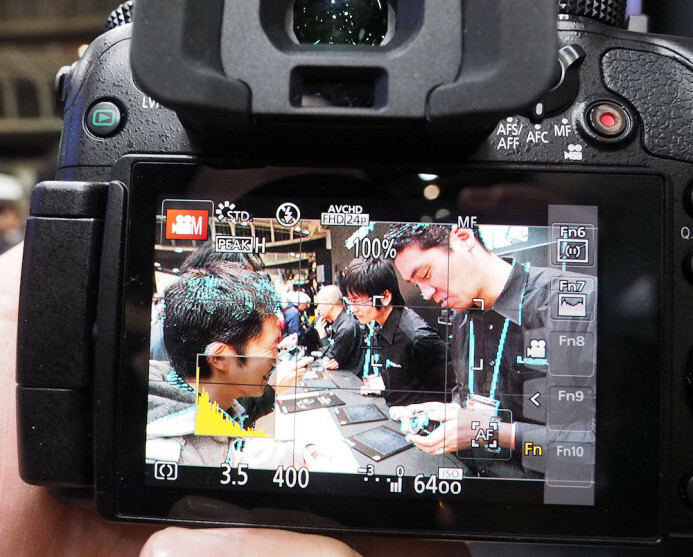 Preorder the Panasonic GH4 — It’s coming soon, get your name on the list. Panasonic GH4: full specs — Learn more about this new camera’s features. First look at the Panasonic GH4 — Zacuto sits down with Panasonic’s Matt Frazer for a fairly in-depth look at the GH4. Definitely worth watching. Andrew Reid’s GH4 Production Diary — Andrew’s excitement is evident as he discusses using the Panasonic GH4 for the first time. Metabones Speedbooster — Increase the field of view and speed of your lenses with this adapter.